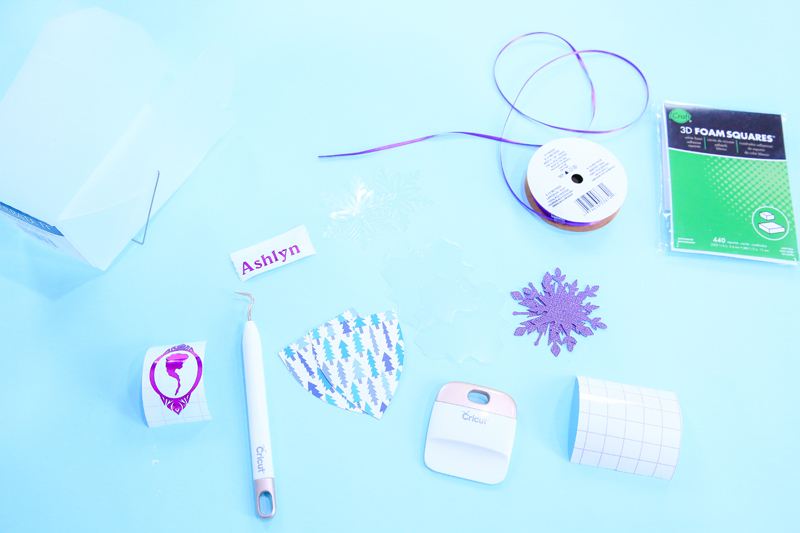 Let’s make a pretty Frozen Favor Box with foil Elsa and Anna silhouettes, acetate snowflakes, and cardstock! Guests will be so excited to receive these beauties! 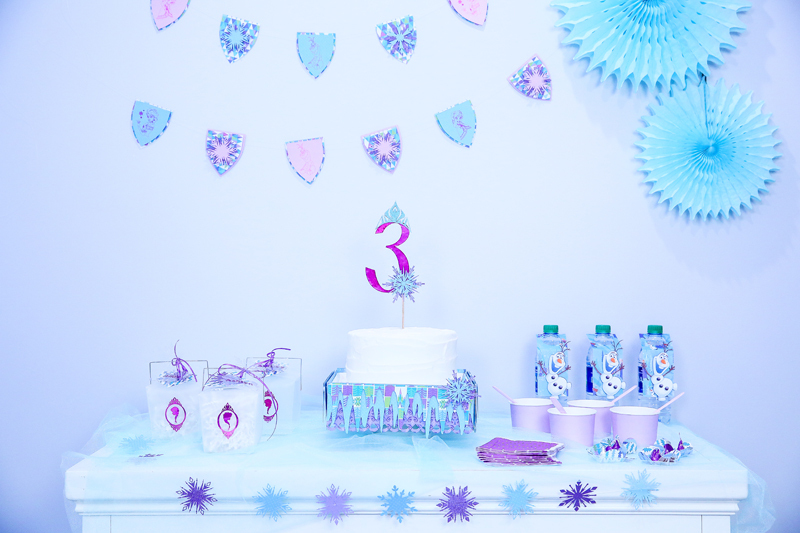 Planning a Frozen birthday party? These easy favor boxes are easy to make with your Cricut and can be customized with lots of fonts and shapes in Design Space. I love layering when working with paper crafts and this favor tag is no exception. 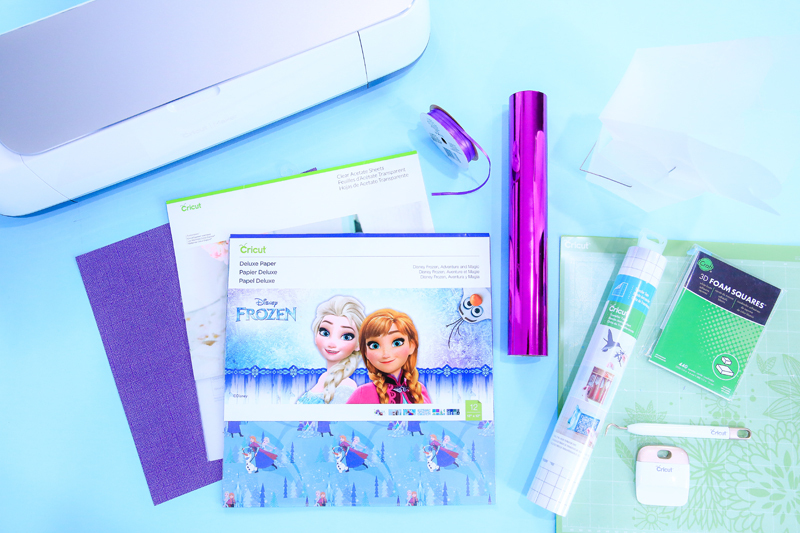 Pick up a pack of Disney Frozen Adventure & Magic Deluxe Paper, coordinate it with some solid and acetate sheets to create a magical favor tag and favor box! 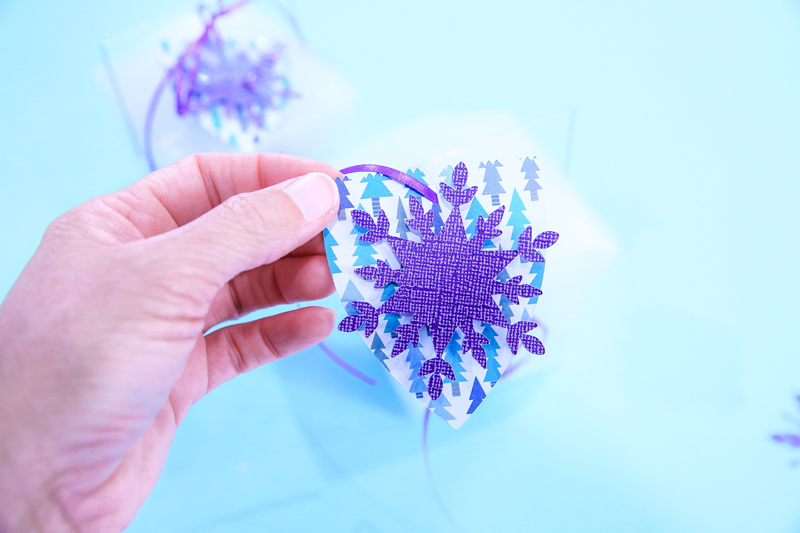 Cut each element using solid and Frozen Adventure & Magic Deluxe Papers, acetate sheets, and foil adhesive. Layer paper elements using foam adhesive dots. Select a coordinating ribbon and tie all the elements in place on the box, with the acetate snowflake on top. Once tied, flip the snowflake up. 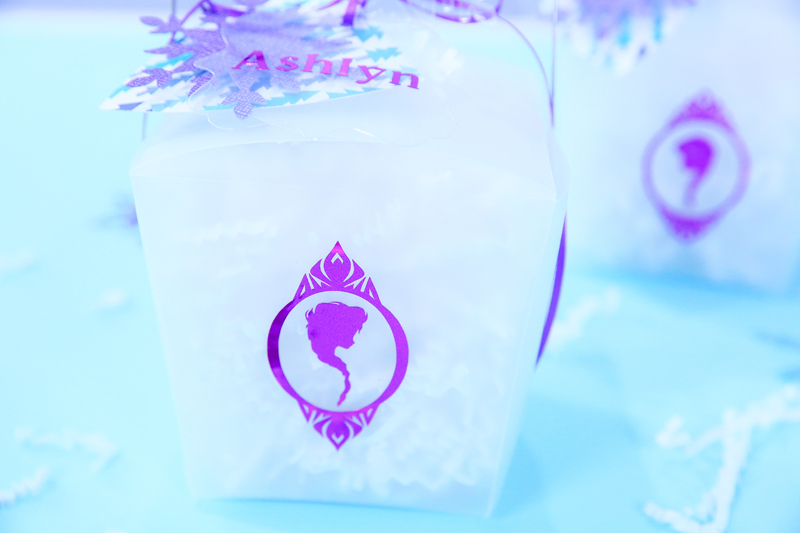 Fill with sweet treats, stickers and tiny toys for each guest! Tip - You can turn any shape into a tag with the slice tool. Just insert a circle shape over the top of the shape you want to make a tag, and slice. Move the shape and you now have a hole perfect for your ribbon.